Posted on December 26, 2017 at 1:39 am. Here at Clique Hospitality Group, we know that the holidays are huge in the hospitality industry and that for bars, lounges and restaurants, one of the biggest nights of the year is of course, New Years Eve. We have always prided ourselves on our unique approach to developing special events for all of our different venues. This year is no different, many of our venues are hosting unique New Year’s Eve events. Here is a rundown of what you can expect at each of these Clique Hospitality bars and lounges. Oxford Social Club will be having a blow-out NYE party. Tickets for the event start at just $50 when you buy ahead of time. The event will feature music by DJ Cobra and appearances by the Stoli Elit Ballerinas. CliQue Bar and Lounge will be hosting their Glitter and Gold Event. In addition to food specials and champagne packages, CliQue will also have a live DJ performing all night—starting after 7 PM. Make sure to check out this glitter and gold party where everything will be decked out to welcome in 2018 in style. At Bottiglia, guests can ring in New Year’s Eve in style, with the restaurant’s elegant pre-fix menu. This chef-selected menu is just $75 and features four courses, along with a champagne toast. Cameron Dettman will also be performing live at Bottiglia starting at 7 PM. Hearthstone will be having a NYE event that features a pre-fix menu. This chef-selected menu is just $75 and features four courses. Starting at 9 PM Hearthstone will also have a $75 all-you-can drink and passed appetizers going for the rest of the evening. At Libre Mexican Cantina, the NYE festivities start a 8 PM. Libre will be offering $50 all-you-can-eat bar bites as well as an open tequila bar. This special will be running all evening long until Libre closes. Lionfish will be having a specialty $95 tasting menu on New Year’s Eve this year. This menu comes from Chef JoJo Ruiz and features a free glass of Moet Chandon champagne. Lionfish is also partnering with Oxford Social Club, also located in the Pendry so that guests can enjoy a beautiful dinner followed by a fun night out right at Oxford. Borracha Mexican Cantina will kick off their NYE celebrations at 4 PM. Starting a 4 PM, guests can enjoy all-you-can-eat bar snacks like taquitos and quesadillas and an open tequila bar, all for $60. In addition to the open bar and all-you-can eat food, Borracha will have DJ Skeety doing a live set starting at 8 PM and offering a free champagne toasts for all guests 21 and over at midnight. The Still will be hosting a NYE event designed with the sports fan in mind. This bar will be opening early on New Year’s Eve, so all of their guests have somewhere to watch the big games of the day on their 27 flat screen TVs. They will also be having an event in the evening featuring live music from Rein Garcia and a $50 open bar that will run into midnight. 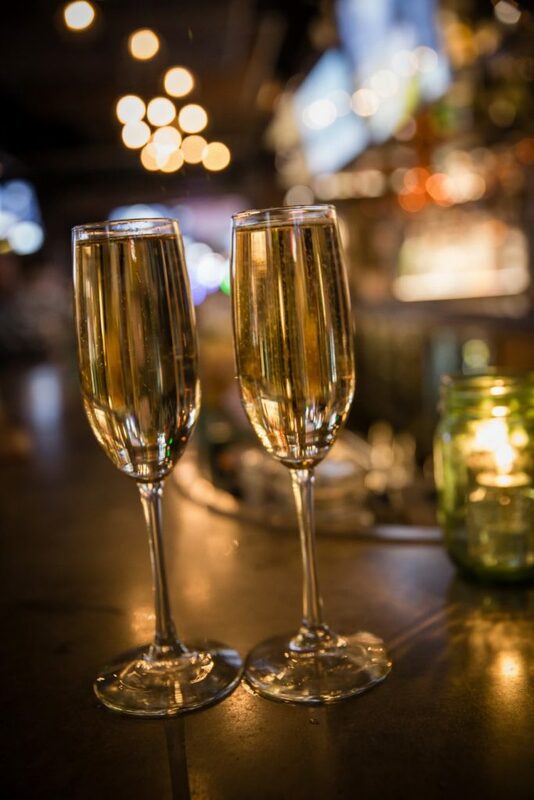 Guests of this NYE celebration also receive a free champagne toast when the clock strikes twelve. With so many great events taking place throughout the Clique Hospitality family, we surely have you covered this New Year’s Eve. Whether you are looking for a delicious sit down dinner, or a fun night of partying until the wee-hours of the morning, Clique Hospitality is here to deliver a NYE celebration that will help you close out 2017 in style. - What is the "Slow Food Movement" and Why Does it Matter?